While Condition Monitoring (CM) systems continue to prove their value in industrial applications, many companies are still unsure how CM should fit into their Industry 4.0 strategy and the automated ‘lights-out’ factory, says Ian Pledger, service engineer at Schaeffler UK. 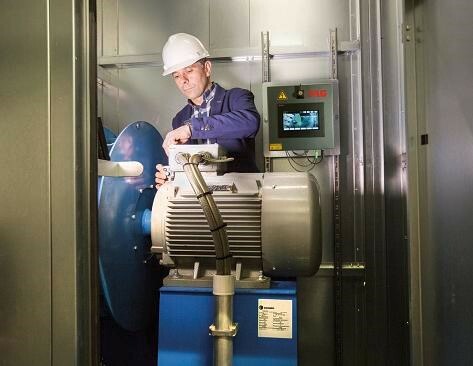 In the UK, most process industry sectors have now implemented some sort of condition monitoring (CM) strategy or CM systems within their process plant, even if it’s just CM for process-critical rotating equipment and machines. The sectors that seem to be adapting best to CM are those that cannot afford the high costs associated with production downtime, perhaps due to an unforeseen machine breakdown. Any business that uses electric motors, gearboxes, air compressors, fans, conveyors and pumps can benefit from CM services. Measuring vibration is one of the most widely used CM techniques for detecting and diagnosing equipment faults. Vibration monitoring systems are one of the most reliable methods of monitoring the condition of rolling bearings and for detecting the early onset of damage to bearings and other machine components. Most CM systems to date have been used as local systems, collecting vibration data from machines and using analysis algorithms and a rolling bearing database to check for signs of wear, defects or other unusual behaviour. It is now possible to share and compare local machine condition data, via the cloud, with other similar items of equipment across a plant, or better still, with other equipment at multiple plants within a business, wherever they are located globally. The latest Cloud capable CM systems from Schaeffler, such as Smart QB and SmartCheck, offer a suitable platform for managing and processing ‘Big Data’. These CM systems are easy to install and set up, with the user requiring no specific skills or knowledge of vibration diagnosis. With the Smart QB fixed online monitoring system, when changes occur in the condition of the equipment, the system automatically generates plain text messages on a display, providing the user with clear instructions for action, enabling any corrective maintenance work to be undertaken and any replacement parts to be ordered if required. With ready-to-use, preset measurement configurations, these CM systems are helping users identify the main causes of faults, e.g. bearing damage, imbalance and temperature increases. For general changes in vibration patterns that cannot be clearly attributed to one of the above, the CM system can request, via the cloud, additional analyses from a specialist. Analysis can now be carried out anywhere at any time, with the expert being located anywhere in the world within a company or external. Similar equipment can be compared across global manufacturing plants, to compare and/or develop trends. 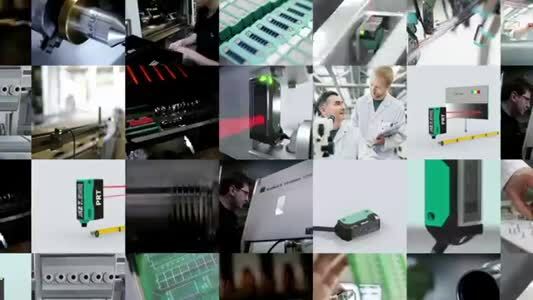 Schaeffler is continuing to invest heavily in research and development and has incorporated sensors, actuators and control units with embedded software into its products including rolling bearings and linear guidance systems. With these new digitalised, Industry 4.0 technologies, it is now possible for these products to collect and process valuable data on the condition of a machine or process and then convert this data into added-value services. The recorded vibration data from bearings can now be transferred via a flexible Schaeffler Gateway to the Schaeffler Cloud, where Schaeffler’s rolling bearing domain expertise is made usable in the form of digital services. For example, automated rolling bearing diagnosis and ‘remaining useful life calculations’ can be used to provide precise information on the condition of the bearing and therefore of the machine or process being monitored, which in turn, allows specific actions to be recommended. It will even be possible to use actual load data to make adjustments to operational machine processes in real time. But what are the implications on the workforce? Over the next decade, engineers will spend less time diagnosing faults on machines and process plant, as this data will be collected and reported on automatically using smart CM systems. Collected CM data can be provided in a format suitable for whoever needs to see the data within the business or global group. Different process engineers, maintenance staff, machine operators and senior plant managers will cherry pick what information they need from this pool of machine and process data and use it as they see fit to make improvements to processes, machine efficiencies and ultimately business profit. There are some drawbacks to implementing modern CM systems, but these should not prevent companies investing in CM. The cost of the CM system itself and its implementation can appear relatively high at first. However, the cost of implementation is likely to decrease over the coming years as these systems become easier and faster to install, as well as less costly to develop in the first place. As CM technologies mature, the price of CM systems will decrease. Small, affordable CM devices such as the Schaeffler SmartCheck are already making investment payback periods significantly shorter. We could eventually see a ‘Dark Factory’ situation emerging, whereby machines, automated plant and robots carry out all their work in an energy efficient, ‘lights-out’ scenario, where there is little or no human intervention required, except when a CM alarm limit on a machine or process is reached, new raw material is required for the process, or a machine breakdown occurs. Industry 4.0 and the IoT will continue to drive the way CM technologies are developed. CM will continue to remain at the forefront of fault diagnosis.